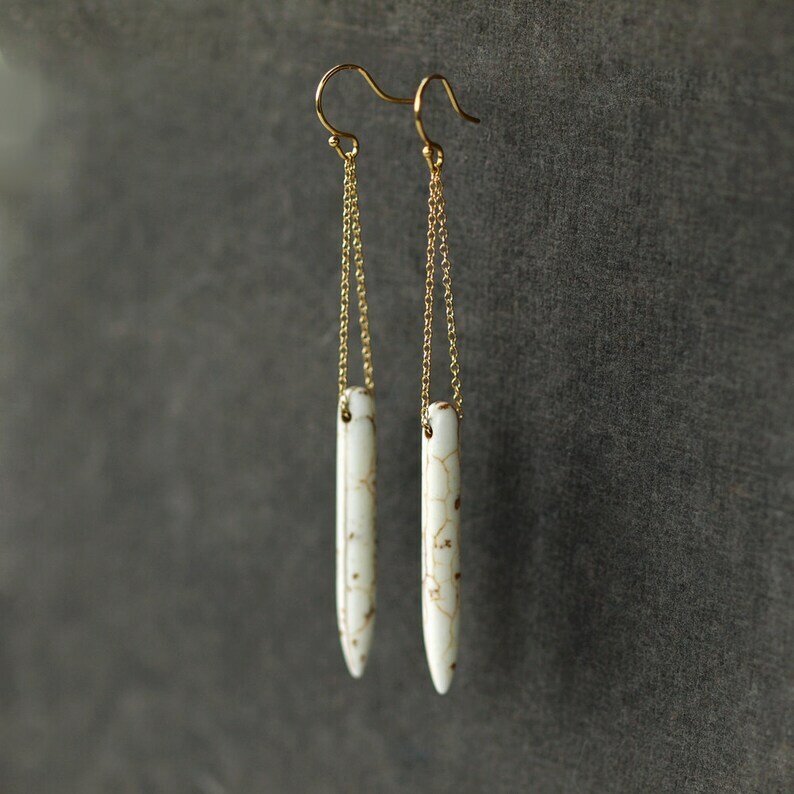 Long spears of white Magnesite gemstones dangle from goldfilled chains and goldplate earwires in these totally cool, refined boho earrings. The Magnesite dagger gemstones show great natural veining for a great rustic effect. Total length of the earrings is just over 3 inches from the curve of the earwire to the bottom of the spear. 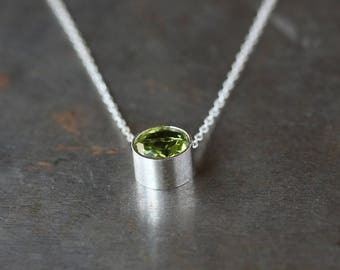 The gems measure approximately 1.5 inches long. 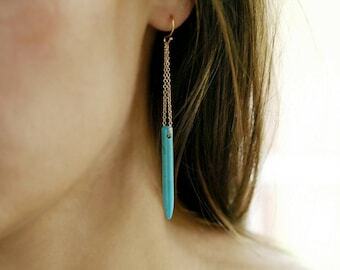 The last photo shows the Turquoise version of these earrings on a model. 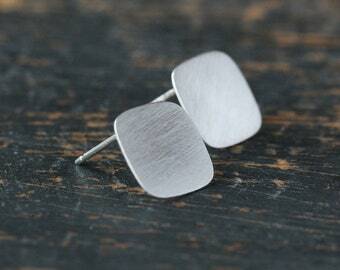 The earrings you are purchasing are pictured in the first four photos. Beautiful. I wear these all the time. Thank you! Love the earrings. Great quality. So pretty! Exactly as pictured. Great service, quick delivery. Beautiful! Can't wait to wear these!